State Rep. Mike Pellicciotti, D-Federal Way, is the best choice to represent the 30th Legislative District, which stretches from Federal Way down into Pierce County. As other legislators have whined about the nuisance of complying with the state’s public-records law, state Rep. Mike Pellicciotti has repeatedly called their bluff. The Federal Way Democrat’s commitment to government transparency and accountability is a key reason voters in the 30th Legislative District should re-elect him. Pellicciotti was one of only three state lawmakers who turned over their official calendars when a coalition of news-media organizations asked all 147 legislators to do so in 2017. He later voted against lawmakers’ attempt to exempt themselves from the state’s Public Records Act, a bill legislative leaders jammed through only a month after a trial court judge ruled they must follow the law. The former King County deputy prosecutor has also sponsored bills to cut down on dark money in politics, as well as limit how quickly certain state employees (including legislators) can start working as lobbyists after they exit state service. He works as an assistant attorney general when the Legislature is not in session. Strengths: The former King County deputy prosecutor has sponsored bills to cut down on dark money in politics, as well as limit how quickly certain state employees (including legislators) can start working as lobbyists after they exit state service. Pellicciotti outshines his opponent, former Republican state Rep. Linda Kochmar, in other important policy areas as well. Kochmar, who Pellicciotti unseated in 2016, expressed concern about high property taxes. But she also advocated for lifting new restrictions on how much money school districts can collect in local levies, a move that would most likely lead to future property-tax hikes. Pellicciotti favored a smarter approach to improving the state’s school system: Correcting funding problems at the state level, while leaving local levy limits in place for now. To do otherwise risks recreating an unequal system in which some school districts can raise local money to cover state funding gaps, while others can’t. For his part, Pellicciotti is sensitive to how high taxes burden people in his district. 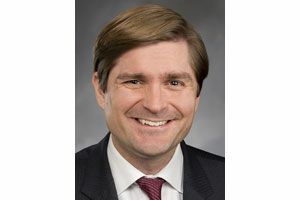 He worked unsuccessfully to give taxpayers a break on car-tab fees associated with Sound Transit 3, and voted in 2017 against the Legislature’s plan to pay for schools by raising the statewide property tax. Voters should send Pellicciotti back to Olympia for a second term.